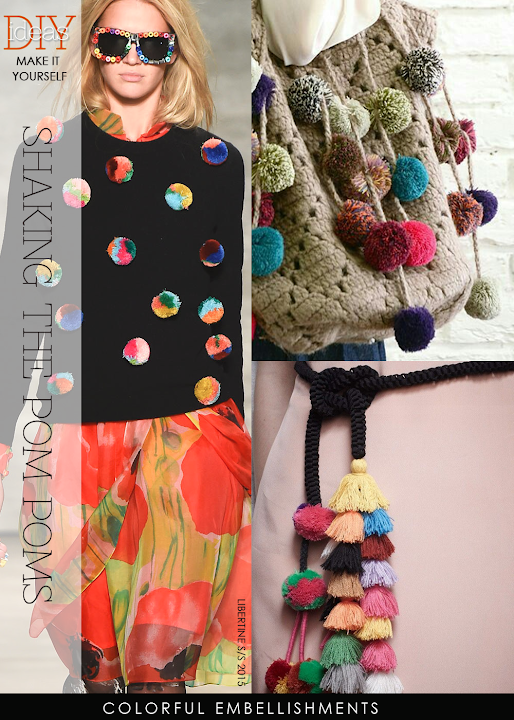 Pom poms, to me, are a colorful and playful embellishment. 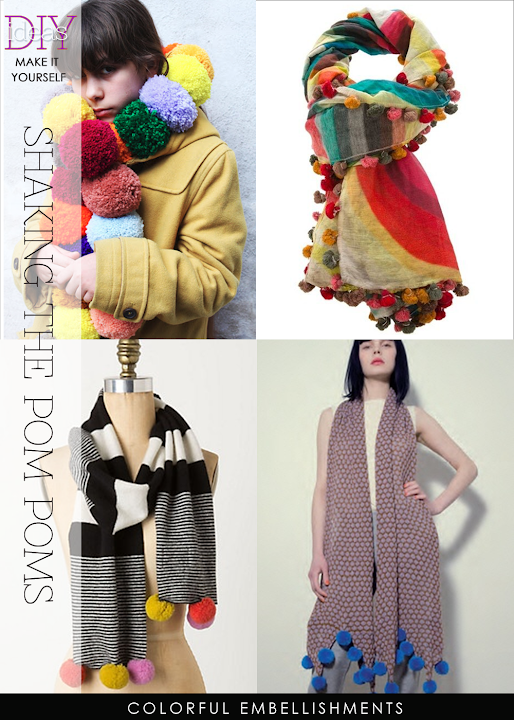 Even neutral colors take on a more light-hearted vibrancy with pom poms in the same tone. 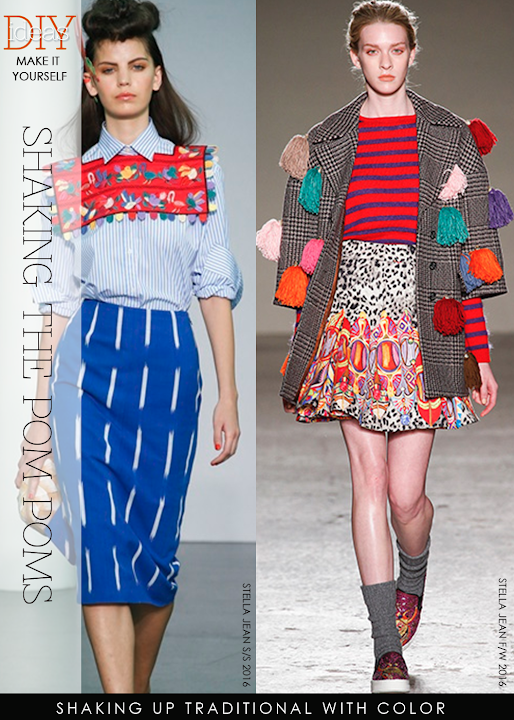 Traditional fabrics and styles become free-spirited with the addition of colorful pom poms and tassels. 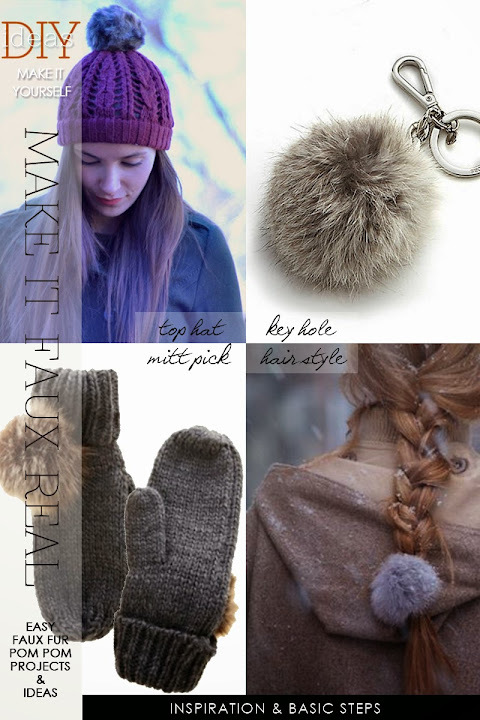 Happy is a word that comes to mind and instantly you have a big smile on your face just looking at them. 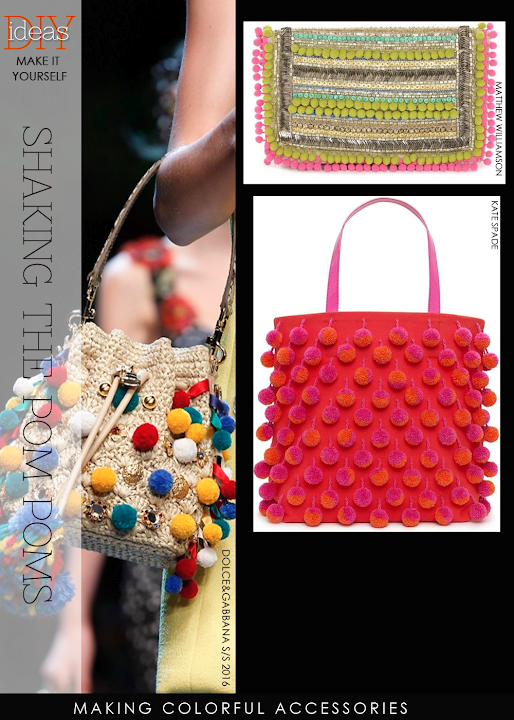 They can be big, fluffy and bright to top a hat or tiny in an explosion of colors circling around a scarf. 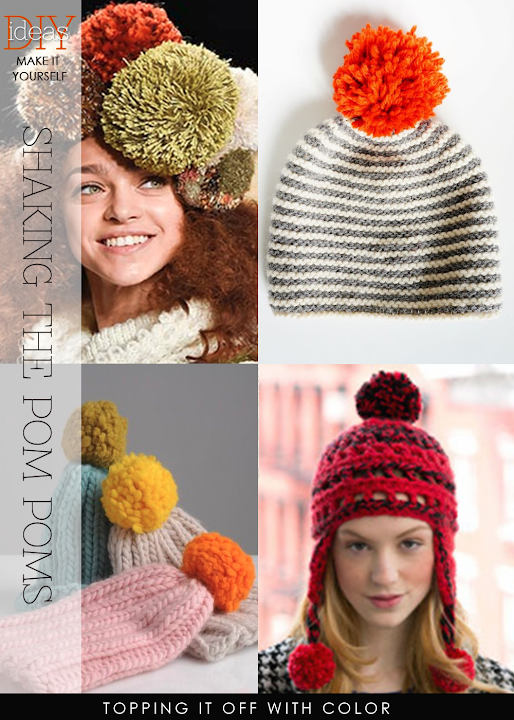 Accessories can be the safest way to show off this trim, but instead of making one pompom for a hat, why not three in different sizes. 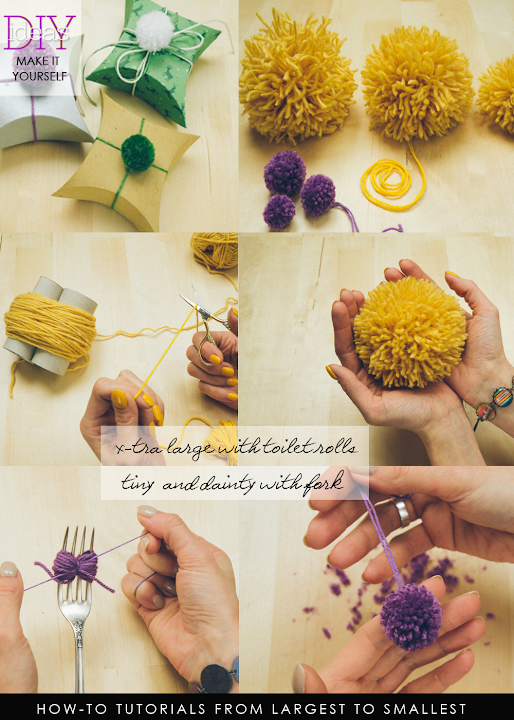 Restyle a purchased sweater or a fabulous thrift find and take the garment to a whole new level by making tiny pompoms for polka dots. 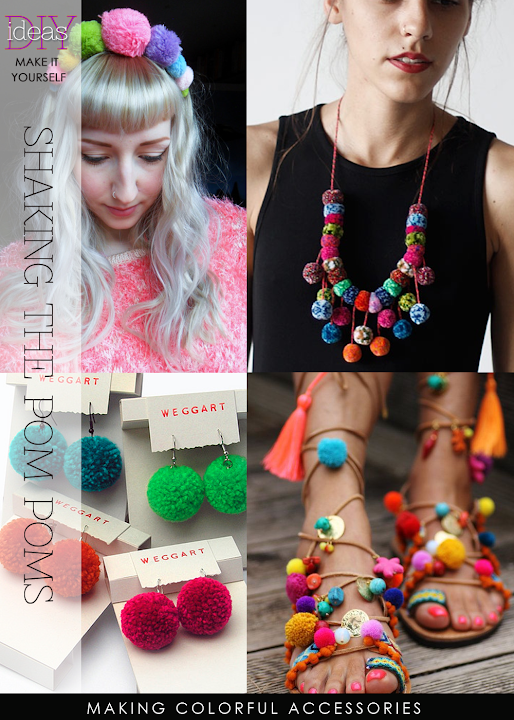 Striking black pom poms on a cream or white sweater....dramatic!. 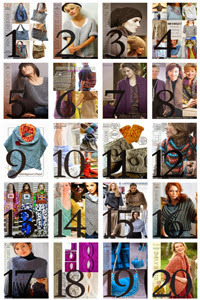 Have fun and think about ways you can update or brighten what you have in you closet. 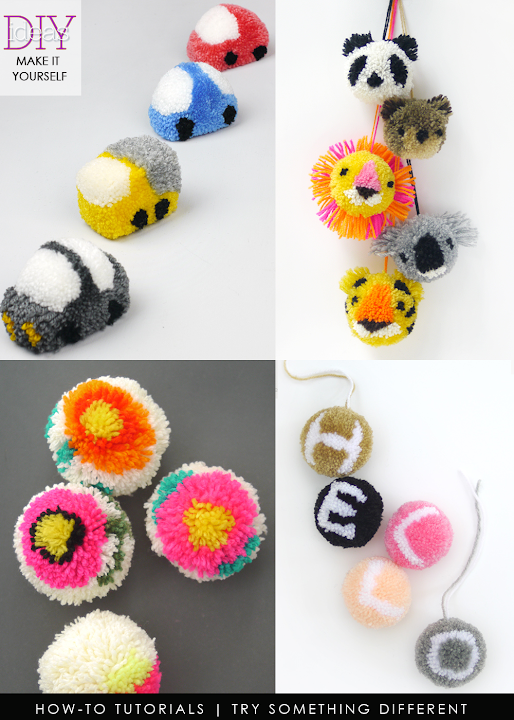 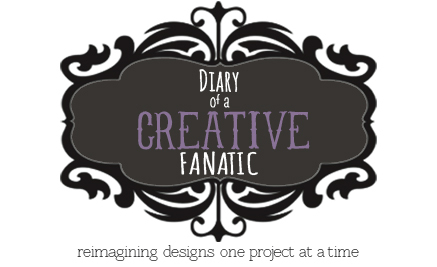 Be sure to also read all the past posts further down for more creative ideas, tutorials and helpful videos on creating some very imaginative pompoms. 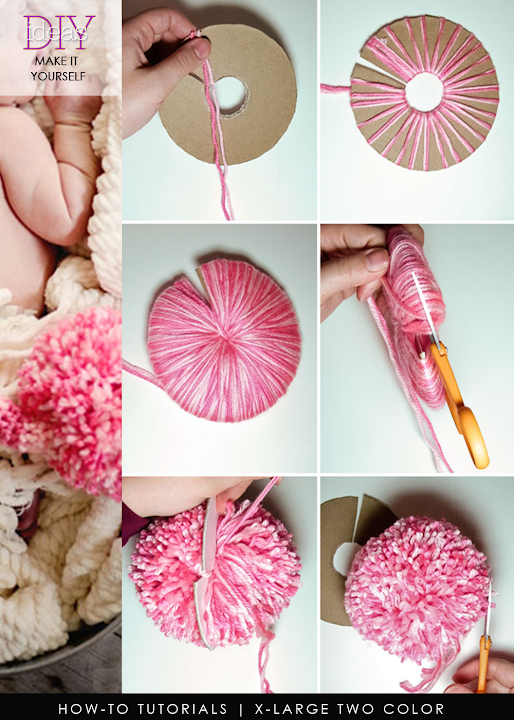 how to make pom pom out of fun fur!